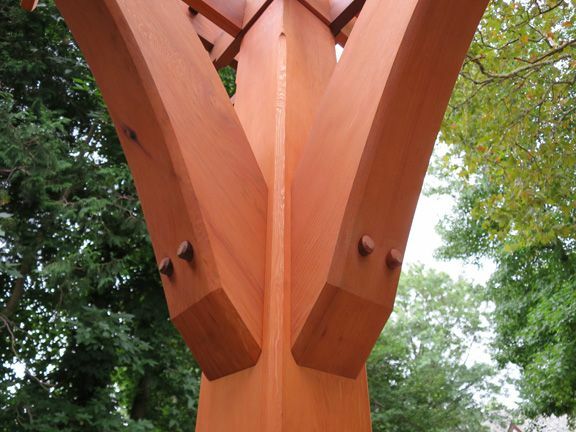 We use only the highest quality Western Red Cedar, available in clear and architecturally knotty. 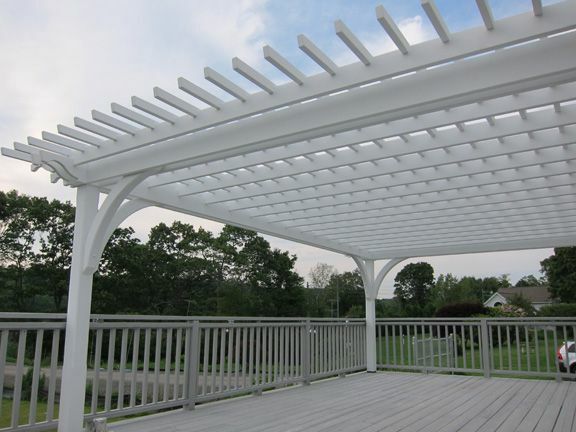 All Baldwin cedar pergolas are guaranteed to use hidden stainless steel fasteners. 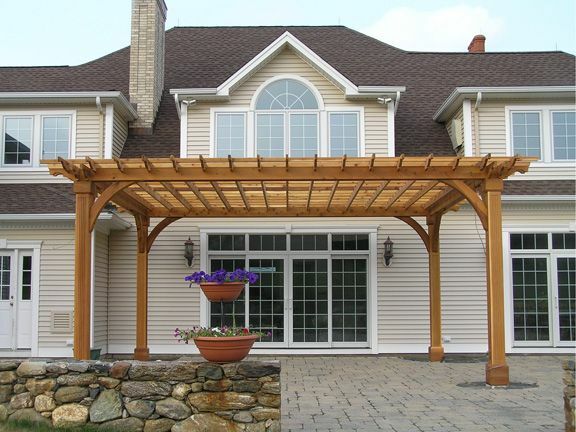 With a wide variety of options our cedar pergolas are highly customizable. 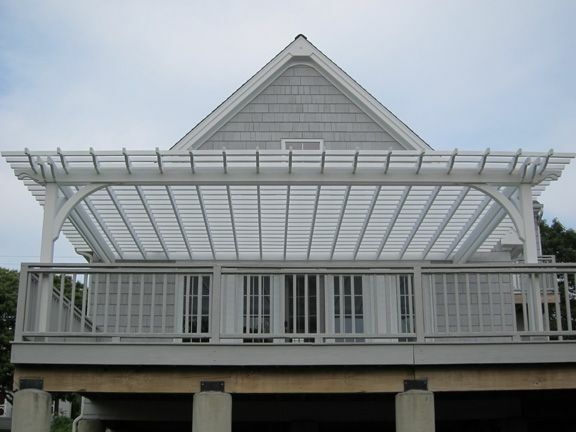 Our customers can choose from a number of different rafter profiles as well as boots. 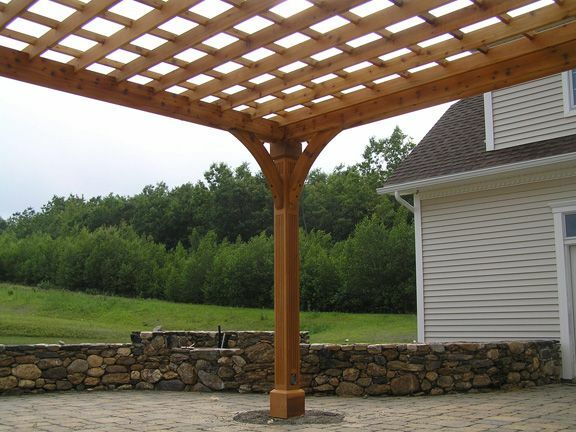 We offer 4x4", 6x6" and 8x8" solid cedar posts and multiple brace styles. Contact us today to learn more. Western Red Cedar has been determined to be one of the most environmentally friendly and sustainable building materials available. 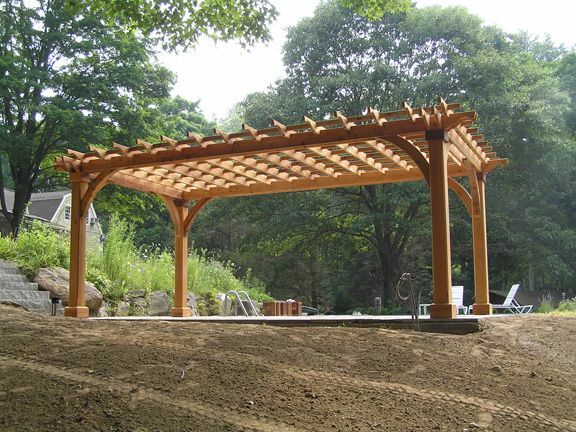 When you purchase a cedar pergola you can be confident that you've made the environmentally conscious choice! The "New York Shade Room". 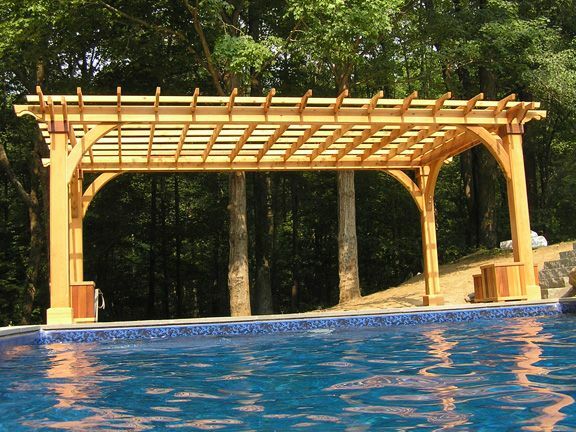 On the surface this cedar pergola may look simple but it is actually quite custom. 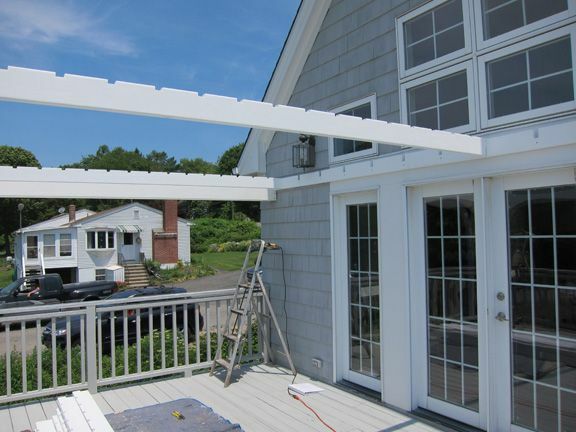 This job required numerous measurements to accommodate the client's needs. 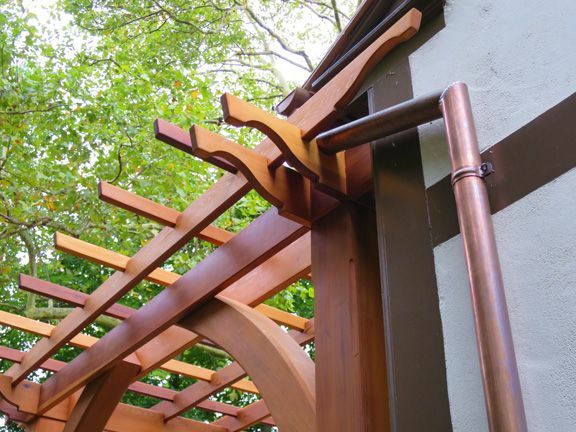 The client's gutters and space limitations were accounted for, drawings were created and the pergola was built. 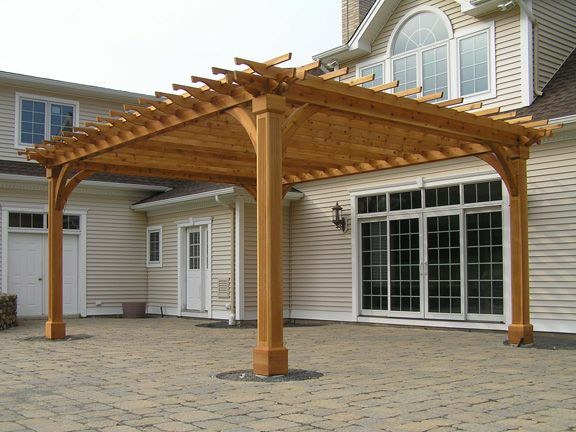 We make the pergola buying process easy and a member of our experienced team will guide you through every step of the way. 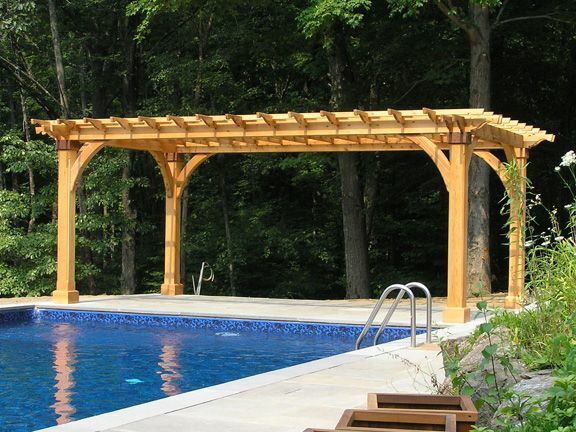 Poolside Post & Beam Pergola. 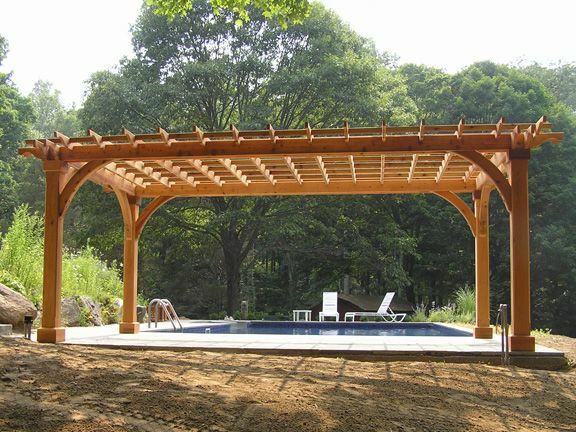 A practical cedar pergola was the perfect addition to this poolside patio providing a shaded area to relax or entertain guests. 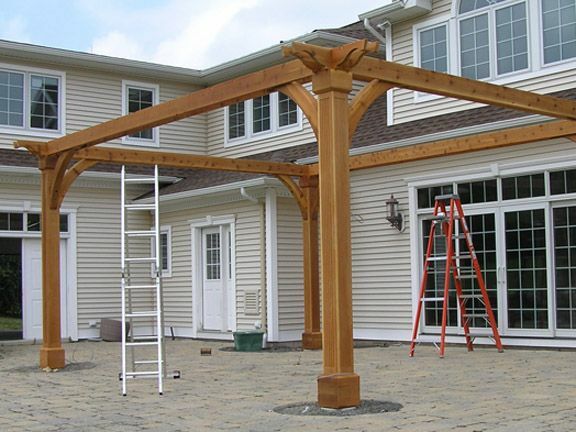 This cedar pergola features impressive twenty foot spans, arched braces and massive eight inch by eight inch posts. 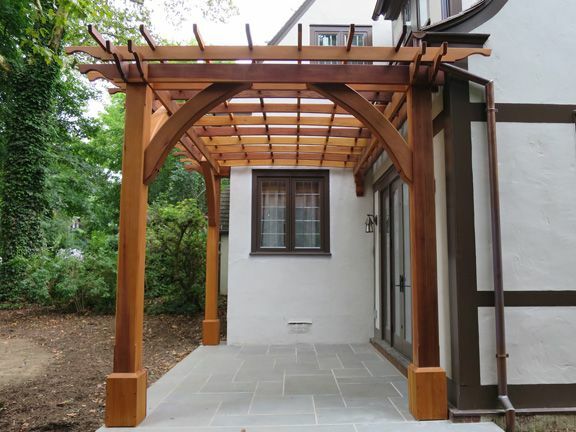 This project was a close collaboration between Baldwin Pergolas and Catherine Cooke of Spring Lake Design. 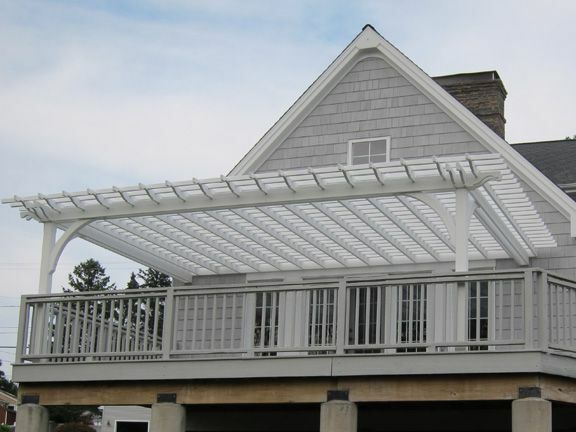 The Ocean Pergola. 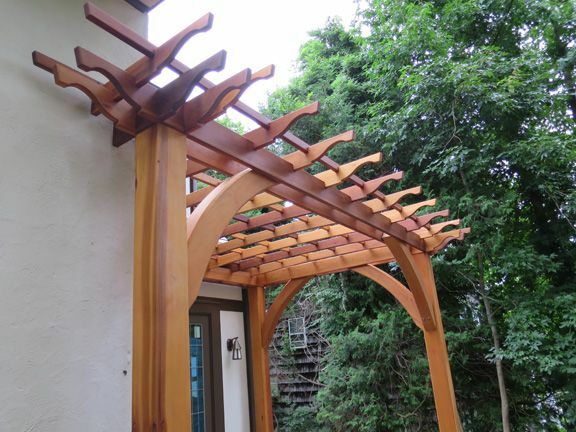 This beautiful deck mounted cedar pergola is attached to the existing structure with the use of a ledger board. 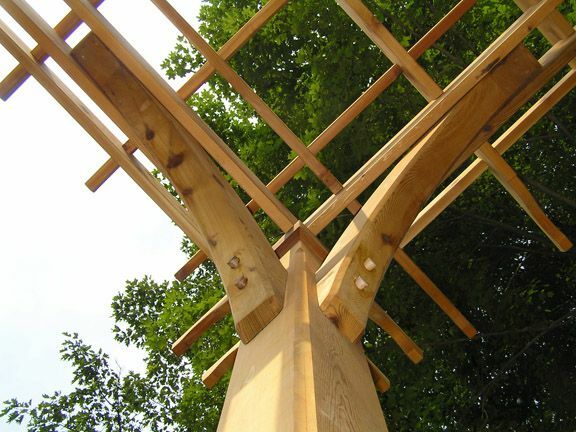 All of our cedar pergolas have pre-notched rafters, purlins and beams to ensure a high quality fit and finish. Our client's are able to choose from an oil based sealer or paint in any color. 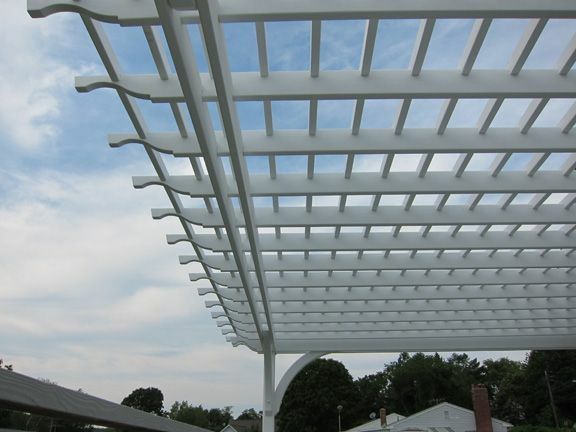 Please note this pergola was built in the early 2000's before fiberglass pergolas were available. 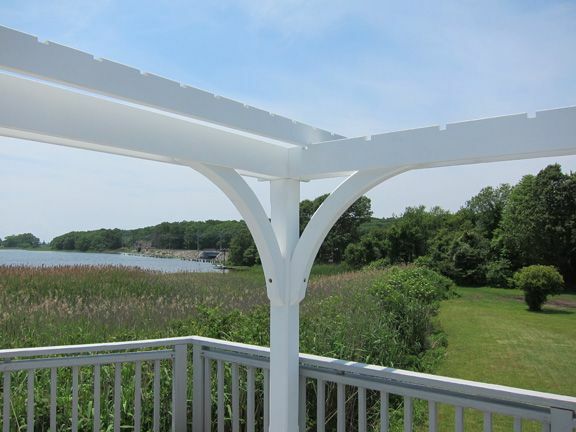 If you would like to build a pergola near the ocean fiberglass is a better building material. 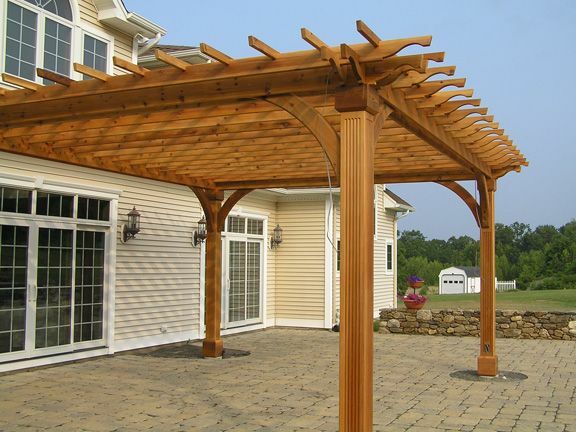 The Wedding Pergola. 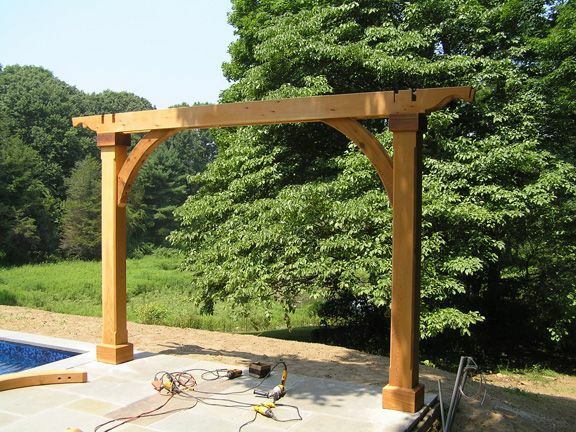 This freestanding cedar pergola features architecturally contoured rafters and beautiful fluted eight inch by eight inch posts. 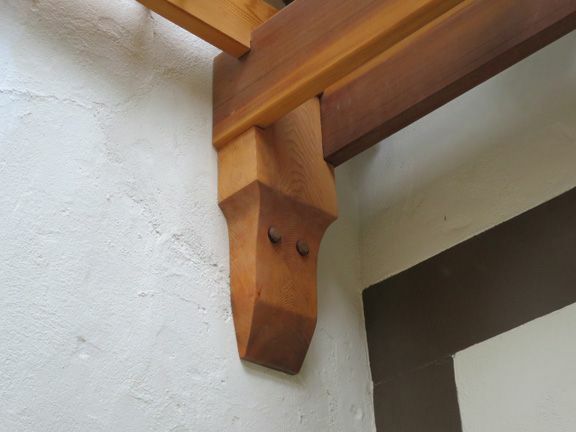 The posts were custom made with our state of the art CNC table router. 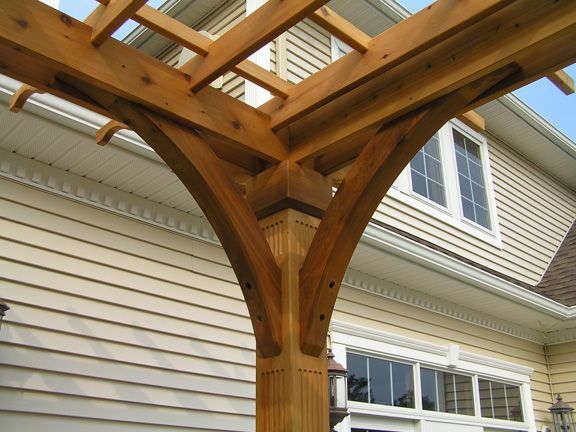 Our CNC machine allows us to precisely craft our cedar pergolas to meet our client's specific needs. 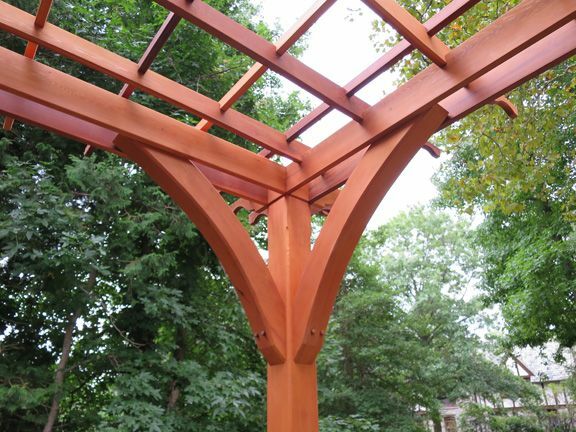 All of our pergolas are built to exacting standards and no detail goes unchecked.